A look at the action from day one! MINNEAPOLIS — After a 15 minute weather delay to start the day, the US Open kicked off this morning. With winds gusting sporadically throughout the day, play was at times sloppy. Through one day of play, with every team having three games under their belt, a handful of teams stood out. Despite missing a handful of stalwarts in Jonathan “Goose” Helton, Brett Matzuka, Terrence Mitchell, and Jack Williams, among others, Ring of Fire put on a strong first day performance. Offensively, Jon Nethercutt already seems to be at top form, looking nearly uncoverable, and putting up astounding throws that rip defenses apart. In their opening game against Chicago Machine, Ring showed that they are a poised and persistent team, coming out on top in a game that featured a handful of runs in each direction. After struggling to get going early, the O-line took charge and put the game away. One of the biggest surprises on day one, hometown team Minneapolis Sub Zero showed up in convincing fashion. In their opening game of the day, Sub Zero picked up a 15-4 win over Fire of London. They did not let up, as they took down Denver Johnny Bravo and Chicago Machine. Against Machine, Sub Zero took over early and rolled to a 15-9 win. Sub’s O-line looked fantastic all day, anchored by stellar play from veterans Jason Tschida and Greg Cousins. Cole Wallin was everywhere — scorching deep and launching pinpoint hucks. But perhaps the most impressive part of the Sub offense was, funnily enough, its defense. Against Bravo and Machine, Sub’s offense was broken a total of one time, early against Machine. If they can continue getting holds at such a high clip, their defense doesn’t half to be fantastic; it just needs a single break. And Sub’s defense was in no way subpar — new pickups Jay Drescher and Alex Simmons looked right at home. They both bring years of experience to a team that for years has been defined by its youth. The value of their veteran presence can’t be overstated. We’ll see how Sub stacks up to the cream of the crop tomorrow when they take on Ring. Yawn. Revolver looked, predictably, strong today, getting contributions from every member of its incredibly deep roster. In Ashlin Joye’s absence, George Stubbs stepped in as center handler and guided Revolver’s O to an excellent, if not quite spotless, performance. On defense, high level pressure forced their opposition to throw jump balls that Revolver athletes came down with more times than not. With a WUCC victory already under their belt for 2018, Revolver looks to be at the top of their game. For the first time this year, Chicago Machine is at full force, with a full and healthy O-Line that includes Kurt Gibson. In their opening game of the day, Machine and Ring of Fire traded runs back and forth, most notably when Machine came up with three straight breaks out of halftime to take a 9-8 lead. While they ended up losing, Machine looked strong. Their offense was clicking, and their defense was generating pressure on one of the best teams in the country. In their final game of the day against Sub Zero, however, it all came crumbling down. With the score 5-5, Machine’s offense started sputtering. They simply could not put together a hold: a miscommunication here, an ill-advised huck there. All of a sudden, it was 8-5, Sub. At halftime, Kurt Gibson stood alone and sullen on the sideline; his frustration was evident on every point he played. This is Gibson’s first tourney with Machine, and growing pains are to be expected. He’s a bonafide star and needs the disc in his hands a lot, and it’s unlikely that’s going to change. The onus will be on the rest of Machine’s O-line to figure out how best to use his talents, and thus avoid games like the 15-10 drubbing Sub ended up giving them. 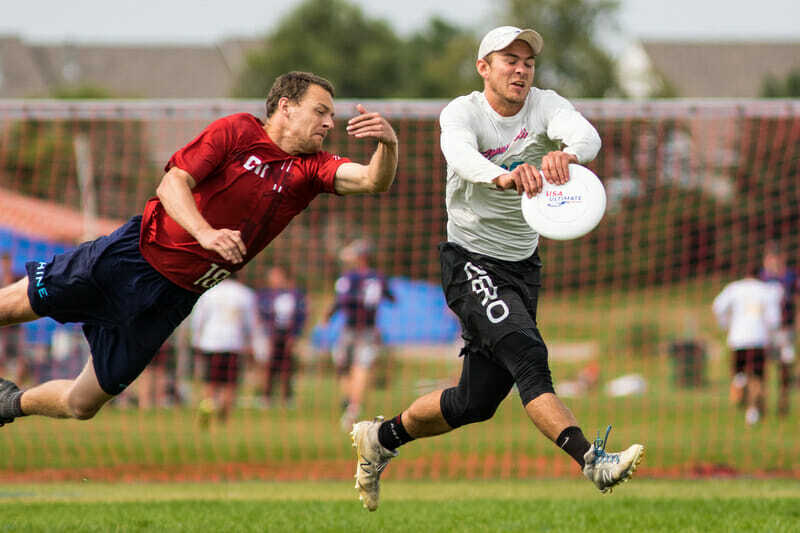 With the New York Empire reaching the AUDL Championship weekend, PoNY came into the US Open missing some key players, like Ben Jagt and Beau Kittredge, due to their AUDL contracts. PoNY came out strong, putting up a convincing 14-9 win over Buzz Bullets in round one. In round two, however, they ran into the buzzsaw that is San Francisco Revolver. Revolver thoroughly dominated the game, and PoNY wasn’t able to punch back. As the team evolves and adds Jagt and probably Kittredge to their O-line, their ceiling is very high. With two of the world’s top players in Jimmy Mickle and Chris Kocher rostered for the year, PoNY still hasn’t hit their ceiling. A new look Truck Stop team, without perennial standout Alan Kolick, went 2-1 on the day. Truck Stop picked up convincing wins over Osaka Spirits and Austin Doublewide, 15-5 and 15-9, respectively, but struggled against Buzz Bullets. 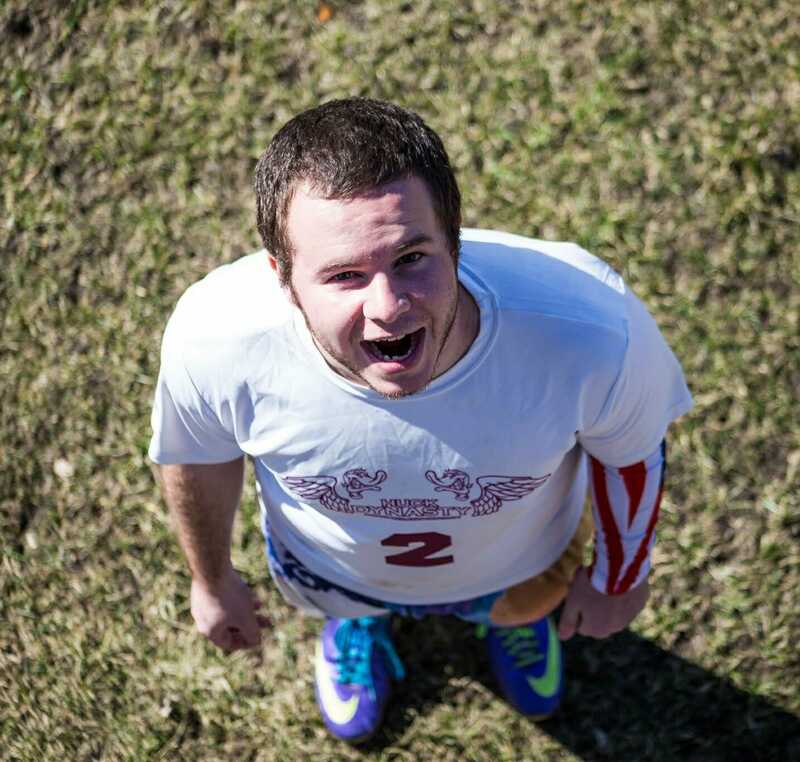 Truck Stop showed off plenty of speed and athleticism, working the disc all over the field. Captain Rowan McDonnell flashed his elite status, coming down with big skies and consistently serving as an outlet for the Truck Stop offense. Defensively, high pressure and athleticism forced teams into making mistakes, and the D-line offense showed sustainability relying on the deep ball. Another new-look team with tons of roster turnover, Johnny Bravo had an excellent showing in their first tournament of the year, as they rolled to a win at Pro-Elite Challenge. With the tournament victory under their belt, Johnny Bravo came into the tournament with high hopes and expectations. An early blowout win over Loquitos got Bravo off to a good start, but they struggled against both Sub Zero and Ring of Fire. The pinpoint throws and hammers that won them Colorado Cup just weren’t connecting, and their defense failed to convert a single break against Sub. Some may have seen this coming: Bravo is a very young team that will flash some of this inconsistency. In their first major international competition in some time, Buzz Bullets struggled in their first matchup of the day against PoNY. PoNY simply outmatched Buzz Bullets; while the Bullets did start to sharpen up their defense in the second half, their D-line offense couldn’t get much going, and the game was never really close. Buzz Bullets struggled to match up with the size and athleticism of PoNY, and that seems to be the team’s downfall overall. Buzz Bullets did show top form, however, in their convincing 15-10 win against Truck Stop. This is certainly one of the weaker iteration of Buzz that we’ve seen in recent years, but they made a lot of unforced errors in their game against PoNY. When they played cleaner against Truck, they won big. Austin Doublewide struggled throughout the day, finishing with a record of 1-2, with their only win coming against Osaka Spirits. All day, the Doublewide offense struggled to gather any momentum. With most of their regular O-liners (Brandon Malecek, Ethan Pollock, Chris LaRocque) missing, Matt Bennett and Michael Matthis filled in admirably, but DW’s skeleton crew roster simply didn’t have it in them to hang with Revolver or Truck Stop. It’s fair to say, however, that this is not the team we will see come the series; with so many essential players missing and the team’s Roughnecks contingent thinking about AUDL Championship Weekend, Doublewide’s struggles were predictable. They’ll look to get it back on track tomorrow morning against PoNY. Comments on "U.S. Open 2018: Friday Recap (Men’s)"